Kotler tells James that aluminum used to be a rare metal until we learned how to separate it. In the early 1900’s radio waves were still being developed and ships couldn’t communicate. Suddenly they were able to thanks to Marconi transistors and the sky came alive with sparks as ships sent messages back and forth and wireless technology was born. Around the same time in Louisiana a banana peddler named Samuel Zemurray was using rail technology to spread bananas to parts of the country that had never seen them. The ubiquitous fruit that you see on the grocery store shelves has only been there for about 100 years. If radio wave communication was a technology breakthrough and logistics and refrigeration were food transportation breakthroughs, then solar power will be another great one. Solar, Kotler says, will be the domino that starts the others falling. “Vertical gardening and in-vitro meat” will both be possible with cheaper energy. And he suggests we hurry. “Losing our ecosystem services is one thing we cannot come back from as a planet.” Kotler tells James. Nassim Taleb mentions much the same thing about GMO food. It’s a good example of the fragility and limits that Taleb talks about. Everything is antifragile, up to a point, and our eco-systems are included in that. In his talk with Russ Roberts, Taleb makes the point that the antifragility of systems depends on the fragility of the individual. In nature this means that certain patches (seeds, areas, forests) fail so that others can succeed. Kotler and Taleb are both worried that GMO seeds may narrow the scope of individual diversity and also the scope of system fragility. Flow is not Kotler’s idea, and he admits as much saying the idea has been around for over one hundred years. His work mostly builds on that done by Mihaly Csikszentmihalyi, who began down this path, at the start at least, because he was broke. As he spent more time researching happiness and a good life he saw that happiness that happiness did not grow with the economy. The former has remained the same, the latter has doubled over the past fifty years. Okay, he thought, who can I examine that shows this divergence? Who is happy despite not a lot of money? Creatives! So Csikszentmihalyi began to look at scientists, authors, and musical composers and found people reported two things that made them happy; helping others and doing work that makes you happy. Adam Grant (episode #73) told Altucher the same thing matters for givers. Successful givers, Grant found out, gave in ways that they were skilled at and meaningful to them. Those types of givers succeed in their careers whereas others who gave outside their scope of meaning and expertise did not. Daniel Kahneman has also written about well-being and echoes the above points, adding something else. Your situation matters. Too little money can drag down your happiness level. Too much money (whatever that means to you) can’t lift it up. Other things that tend to drag people down is the workweek, kids, and cleaning. How, when, and where can all influence how content/happy/well you are in life. The flow state – one of many irons in the happiness fire – doesn’t come immediately. Csikszentmihalyi says that “to change something in a way that’s better than before” takes ten years of immersion. Oof, that’s not easy, but it’s not odd to hear this. Many of James’s other guests have noted that things take time. It took Scott Adams years to be a successful cartoonist, even after he quit trying. It took Andy Weir years to be a successful author, even after he quit trying too. It took Carol Leifer years of playing auditoriums before she opened for the Beach Boys. It took Maria Popova years for to grow her email list from 8 to 8,000. It took Brad Feld years before he realized that the solution to many problems is actually more time, not less. Each of these guests spent years growing their skills to the challenge and enter a flow state. My guess is that challenge is synonymous for value, and once you have the skills for a high challenge area, you will find success. My skill at scrambling eggs is about up to the challenge of making them in the morning, but the value in this is about $8/hour. James comments that this – flow – sounds like a great idea and suggests that it should be taught in school. Kotler says that it’s being taught, but not in schools. Microsoft, Facebook, and other technology companies teach it in one way or another. The best innovation coming from Silicon Valley, Kotler says, isn’t technology, it’s how to work. 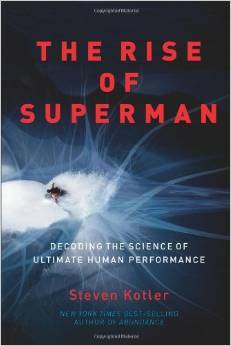 What Kotler discovered what that these athletes found a flow sweet spot (probably by accident) of about 4% better. Higher than this and it can lead to the flight or fight stage, where you aren’t in the flow state. Lower than this and it’s not hard enough to get you there. Kotler also mentions a good piece of advice that Ramit Sethi (episode #36) told James. Kotler says the same thing about seeing someone ride a big wave, “what you forget about that guy is that there were weeks and months of three foot, and four foot, and five foot waves.” Those little (4%) improvements add up, in fact they double over twenty periods. Toward the end of their interview, Kotler tells James that he got interested in the flow state after spending three years in bed with Lyme disease. It took surfing for him to break out of a condition that medicine couldn’t cure. Brad Feld (episode #91) echoed this idea in his interview with James, saying that we need to find our own unique solutions. Thanks for reading. After each 10th episode I include a link to donate. If you are a regular reader and would like say thank you financially, you can do so here. One additional note. Something about Kotler’s interview that struck me was how much terminology he used (In-vitro meat, transient hypofrontality). He does a nice job explaining those things, but a lot of terminology can be a BS signal. In Crimes Against Logic, Jamie Whyte argues terminology should do two things, bring clarity and testability. For example, to say something is burning in the oven has meaning. Something burning up the charts does not. The latter makes sense to us, but it can’t support an argument. This isn’t to say Kotler is wrong, I have no idea, just a reminder for you and I to smell if something’s amiss when we see a lot of terminology. Reading notes: The story of how wireless was discovered was in the very good Thunderstruck by Erik Larson. The banana peddler became the banana king, as told in the – also very good – The Fish that Ate The Whale. A.J. Jacobs (@ajjacobs) joined James Altucher to talk where they get their ideas from, what it means to write a great book, and what the heck is all this talk about the world’s largest family reunion. Jacobs is the author of four NYT Bestsellers; Drop Dead Healthy, A Year of Living Biblically, My Life as an Experiment, and The Know it All. He’s on this podcast episode to mostly talk about Global Family Reunion. It’s an attempt to set the world record for the largest family reunion ever and Jacobs describes it to James as a “family reunion meets a TED Talk meets a music festival.” There was no word in the interview about what time the egg toss and three-legged race will be. Here are a few articles from this series; a NYT article, a People article from 2014, and one from 2015. Jacobs may be on to talk about this project, and the accompanying book, but the interview covers a range the skills needed to be a writer. One of which has been cold-calling interviewees. Jacobs tells James that it’s a lot easier to get George H.W. Bush on the line when you say that it’s his cousin calling. Being open to the fact that people will reject you is part and parcel for any career, especially writing. Aside from the interviews for the Global Family Reunion, the actual planning has been a challenge. It’s “like planning the biggest wedding ever,” Jacobs tells James, “and I didn’t even plan my own wedding.” There are hundreds of volunteers helping and Jacobs thinks they’re helping because it’s a cause that resonates with them. Jacobs tells James that we share 99.9% of our DNA with each other and we need to cooperate to solve big problems. Hosting the biggest family reunion ever may be the first domino that gets the others moving. James asks what got Jacobs started with this idea and he said it was a small moment. A.J. said that someone complimented one of his books, and noted that they were third cousins. That’s interesting thought Jacobs. Something being interesting is a focal point for Jacobs, he tells James that he keeps an “interesting things list” on his computer that he revisits from time to time. But looking inward for ideas isn’t the only way to find good ones. Jacobs tells the story that when he was starting out, the local San Francisco reporters would look to Parade magazine for a story prompt, and then write the local version of it. “Your inspiration can come from anywhere, including articles from other people” AJ says. Or, it can come from selling the same thing, with a slight twist to many different people, each who will experience in their own way. Catchy right. Well that jingle isn’t just for Maine, there’s one for Detroit, Calgary and a host of other cities. But many people who hear it, thing it’s just for their city. One interviewee says that “this is like finding out that your childhood teddy bear was owned by three other people on the weekends when you weren’t there.” The entire episode touches on similar themes to what Jacobs mentions. James asks A.J. more about the logistics of his writing process. Jacobs tells James that most often he likes to experience something, take copious notes, write some journal entries, and then go back for the larger piece. Jacobs also says that his fingers need about twenty minutes to warm up with writing before anything good comes out. He needs to warm up his fingers before his brain. This sort of muscle memory, deeper connection to consciousness, is what Steven Kotler credits with curing his Lyme disease. Jacobs used to read good books to “get in the mood of good writing” a practice that James regularly mentions. Jacobs also says, “I do think you’re more creative when you’re happy” and to this there is some scientific evidence. To the last two points, there is good evidence in Thinking Fast and Slow that priming yourself to be in a good mood will lead to better work. If your body senses it’s in a safe place, your mood gives a thermostatic reading about the threat level, you tend to act more deeply in a certain way. My guess is that you can be walking down the side of a highway in a good mood, but you won’t have the same type of creativity as if you were walking through a peaceful woods. “It’s easier to act your way into a new way of thinking than to think your way into a new way of acting.” A.J. Jacobs quoting Millard Fuller. This is a key takeaway from all the guests. You don’t need to know how to do everything, just the next thing. It’s also going to take a bit of luck. Jacobs says, “it’s a quantity game, keeping going until you find the ones (ideas) that stick.” Seth Godin (episode #27) told James you have to keep “getting up to bat.” Godin says he may have been lucky to sell his company to Yahoo! right before the tech bubble popped, but that’s he’s been unlucky many times too. Toward the end of the interview James asks A.J. about what some of his crazier ideas have been. Jacobs said that someone suggested he try to become the greatest lover ever. To which someone else (his wife) said that was a terrible idea. The visual version of what Jacobs may have come up with is available as Simon Rich’s book, The Married Kamasutra (of whom both James and Jacobs are big fans). Throughout the interview is a sense of wanting to do something more with the Global Family Reunion project. It feels like Jacobs is implicitly nudging you along like a teacher might, showing us that we’re all one big family and maybe we should act this way. The interview ends with a slew of goofy facts, a perfect microcosm of Jacobs’ humor. Did you know, the 70th cousin is about how separated you could be from another human. Did you know, Jews are much more closely related, occupying the 4-35th cousins range. Did you know, Iceland has an app to test if you are a cousin. “Bump phones before bodies” is their slogan. Did you know, through history, 80% of marriages were to a second cousin or closer. Thanks for reading, it really means a lot to me. I was also lucky enough to have A.J. contribute to a site I run, 27 Good Things, where he shared good things to read, watch, and use. Here’s a LinkedIn piece Jacobs wrote about Fuller. If I missed anything, let me know, @mikedariano. Any of his books are wonderfully enjoyable. Here’s a snippet from his 2007 book, The Year of Living Biblically. On the admittedly random day of July 7, 2005, I begin my preparations. I pull out a Bible that is tucked away in the corner of my bookshelf. I don’t even remember where I got it, but it looks like the Platonic ideal of a Bible. Like a Bible they’d use in a fifties Western to stop a bullet from piercing the hero’s chest. On the front, it says “Holy Bible” in faded gold embossing. The tissue-thin pages remind me of my beloved encyclopedia. The black leather cover smells exactly like my parents’ 1976 Plymouth Valiant. It feels good, comforting. I crack open the Bible. The title page says, ‘This Bible is presented to…’ and then, in handwritten bubble letters, the name of my ex-girlfriend. Huh. Somehow I inadvertently pilfered my ex-girlfriend’s childhood Bible. I hope inadvertently. It’s been a decade since we broke up, and I can’t remember. Regardless, that’s not a good sign. At the very least, I need to return it when I’m done. Like I said, just go get any book by Jacobs. Okay, okay, one more, from the next page when he goes looking for a Bible and a salesman points him to a table. ‘This one’s good if you’re on the subway and are too embarrassed to be seen reading the Bible,’ says Chris. ‘Because no one will ever know it’s a Bible.’ It’s an odd and poignant selling point. You know you’re in a secular city when it’s considered more acceptable for a grown man to read a teen girl’s magazine than the Bible. James Altucher interviews Marcus Lemonis (@MarcusLemonis). Lemonis is the CEO of Camping World and star of The Profit, a show where Lemonis invests his own money for a stake in turning around struggling businesses. If, like me, you want to catch up, episodes from season two are available for streaming and new episodes air on Tuesdays at 10P on CNBC. Altucher begins the interview by thanking Lemonis for coming on the day before his third season begins, telling him The Profit is one of his favorite shows, and that his daughters watch too. A few years ago Altucher felt the same way about Shark Tank, writing “I just gave up all parenting responsibilities this weekend to Mark Cuban. Meaning, my kids and I watched eight straight episodes of “Shark Tank”.” In that post Altucher wrote he hoped his kids would learn, “not everything is as it appears” and “the deal doesn’t close until the money hits.” A new lesson from Lemonis is the value of your word, because on The Profit it’s all – initially – handshake deals. Which has come back to bite Lemonis a time or two. Past guest of the show Nassim Taleb might suggest that Crumbs was very fragile. Offering a single item – the cupcake – made the business sensitive to someone wanted anything other than a cupcake. By adding breakfast and a bagel croissant hybrid, Lemonis has moved the business to the “robust” stage. It hasn’t reach the anti-fragility that Taleb advocates, but it’s one business moving in the right direction. Before Lemonis invests in anything he examines the three P’s; people, process, and product. For the Crumbs Bake Shop and Key Lime Pies it was about focusing on the product where each company needed to find its essential vein. Being essential is important because essentialism give you focus. In his book Essentialsim, Greg McKeown writes that the first stage in finding what is essential is finding the essence of your idea. With Crumbs the first instinct might be to suggest that the essence is cupcakes, but the essence is really a tasty treat. New menus and food items fit this space. For Key Lime Pies the essence was real food rather than frozen and processed ones. One part of the interview that struck me was how adept Lemonis was at rolling different business together. Crumbs Bake Shop and Key Lime Pies are now a single store in Key West. Ditto for Sweet Pete’s Candy which is available for sale at the Crumbs locations. Lemonis’s growing empire reminded me of a stool where each business is a new leg to lift the stool higher but also make it less likely to tip over. What finally started working for Lemonis, quite simply, was work itself. Some people believe in the transformative power of faith or love or education. Lemonis was all about the transformative power of business. In his interview with Altucher, Marcus says that chasing money is a bad idea. “And if you do all those things (talk to customers, have a passion for the work, love employing people) and you do them right, making money is going to become a byproduct of it, and it shouldn’t be your sole motivation. If it is and you make decisions solely on money, then you’re going to be letting good employees go during the downturn. You’re going to be cheating customers out of situations.” This is an idea that reflects the meta pursuit of inputs rather than outputs. Inputs we can control, outputs not as much. Altucher and Lemonis go on to talk about Michael Sena’s Pro-Fit, which like Crumbs, was too one dimensional. At this part in the interview, I noted that while Lemonis is moving the businesses from being fragile to robust, his personal holdings are moving from robust to antifragile. If suddenly everyone swears off cupcakes and wants to exercise, he’ll profit from that. Taleb probably has a more robust definition than just this diversification, but I found the opposing sectors interesting fellows. Coincidentally, Tim Ferriss recently interviewed Tony Robbins about diversification. After sharing some deal details, Lemonis shares a bit of his story. “I’ll give you the Cliff Notes version. I was born in Beirut, Lebanon. I lived in an orphanage. I was adopted by an American family in Miami, Florida.” Lemonis went to college at Marquette, where before freshman year he thought, “if I can get in real shape, like super fit, I could be that cool, tan guy from Miami.” That quote is from the Inc. magazine article where Lemonis comes as off as much more vulnerable, but also that he had a few more business connections than the typical orphan. Sometimes though, the people Lemonis is working with aren’t straight with him. Altucher brings up the Jacob Morris Florists episode and Lemonis says that some people get a “wild case of amnesia” once they get the check. Altucher suggests that reciprocity plays a part in the other deals where people are more conciliatory and willing to work with him. Altucher is right, humans are wired to give when something is given to us. This is why charity mailers arrive with a packet of return address stickers. They are using social norms to get something – money – back from you. The Hare Krishna group used to also do this throughout airports all over the country, walking up to you and forcing over a flower before kindly asking for a donation. Within the realm of business, Adam Grant (@AdamMGrant) examined givers and takers in his book Give and Take. Grant concludes that people who give without expectations of their effort being returned will find the most success. Giving creates a wide network of people who feel a connection to you, but not one that they feel obligated to immediately repay. This wide web is a resource we can draw upon if we do need help. Contrast this with the wide web Tony Soprano had, where the expectation was to be repaid. That’s a web you wouldn’t want to be tangle in. Altucher asks Lemonis about what sort of calculations he does before entering a situation. Lemonis says, “I look at it in the case of a consumer.” This doesn’t seem like much of a switch, but the change in perspective from owner to customer engages different ways of thinking about a problem. When we solve a problem one way, our brain notes that we were successful and stores that process away for the next time we need to solve a problem. An analogy might be with cooking. If you look in your pantry, throw together some ingredients, and the meal comes out tasting good, then you’ll remember that. The next time you’re hungry, chances are you’ll do the same thing. And then again and again. This is fine for solving the problem of hunger, but just as different meals will satisfy you better than others, different businesses situations require different solutions. Getting stuck on one type of solution is known as the Einstellung effect. We can get into problem solving ruts, and if we wear these grooves too deep we’ll be unable to look around to see other solutions. It sounds like Lemonis switches his hat from owner to customer to see a new shade of changes to make. This interview had great energy and I enjoyed it. Let me know what you thought in the comments or on Twitter, @MikeDariano. Peter Diamandis and Steven Kotler joined James Altucher to talk about the future, the 6 D’s, and how to be bold. Diamandis and Kotler wrote a book about being bold, Bold: How to Go Big, Create Wealth and Impact the World, which they say is like a roadmap for entrepreneurs to follow. It’s the how-to book that might follow their other book, Abundance, The Future is Better Than You Think. The interview begins with the trio noting how exhausted they are of bad news. Peter and Steven have focused instead on the optimistic view that technology will solve a lot of the problems we have today. Today is really a great time to be alive, maybe the best time to be alive. Kotler points out that crime, poverty, and violence are at their lowest points in history. 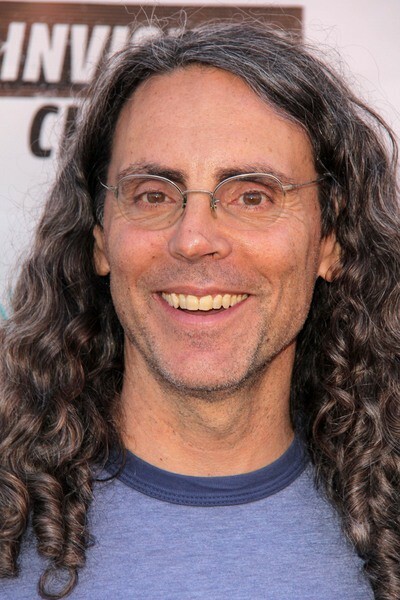 Tom Shadyac (episode #15) found out the same thing – in his own way. When he went out to see what was wrong with the world, he really found out what was right with it. About the bad news, James asks if there is a bias toward people want in to know what might go wrong and Kotler says that there is a bias toward negative news. James explored this idea in (episode #65) when he talked with Dan Ariely. Daniel Kahneman has also written about it, sharing this simple explanation. The psychologist Paul Rozin, an expert on disgust, observed that a single cockroach will completely wreck the appeal of a bowl of cherries, but a cherry will do nothing at all for a bowl of cockroaches. Diamandis and Kotler say this bad news is overdone and share a framework they say will “overrun the world” and it’s six D’s – Digitalization, Disruption, Deception, Demonetization, Dematerialization, and Democratization. This alliteration alluring and almost always allows us to remember associations, but will the ideas that overrun the world all rest upon the fourth letter of the alphabet? Let’s see the case they make. 1. Digitalization. Diamandis tells James that “the ability to duplicated at marginally zero cost is what makes this interesting.” These very podcast episodes are a prime example. Ten years ago you had no access to people like this. Beyond the quality of guests on this – or any great podcast – is the convenience of it. Fifteen years ago it took an hour to download a three-minute song. Ten years ago it was faster but the podcast structure wasn’t around. Five years ago things were similar to now, except there was no phone/wi-fi connection. Now these episodes arrive instantaneously. Why didn’t we see this coming? What this means is that the changes we see in the world don’t ever come out of left, right, or center field. They are out there the entire time, we just don’t see them. As football season just wrapped up, we’ll use the example of Tom Brady and the New England Patriots. Brady might be the greatest quarterback ever. He’s won 4 Super Bowls and he’s near the top of many league wide marks. But he was drafted in the sixth round. He was only the second string quarterback. How does the greatest quarterback of all time now get picked number one, not start playing on day one? Diamandis makes the case that these things start small, but all that means is that in our scope of observation they take up very little room. I don’t have Uber service in my town, so it’s not on my radar. If I moved somewhere that had Uber, my guess is that I would jump on the bandwagon. So it goes for NFL quarterbacks. There are 32 teams, one starting quarterback to a team, and it’s easy for talented players to not get a chance to play. In the interview Diamandis gives a nice heuristic for finding these growing ideas, look for friendly U/I he suggests. Ten years ago we had some version of 3-D printing, but only does it have a good user interface. Ditto for the internet. James speculates that good U/I is a tipping point, that when a concept is easy for the masses to understand, use, manipulate, it will take off. He makes mention in the interview about Malcolm Gladwell’s The Tipping Point. Gladwell has a more nuanced and social explanation. Rather than a clean U/I with a minimalist design and an Apple look and feel, he suggested there were three components. First, the law of the few, which means that things tip only when the right combination of a certain group of people coalesce around an idea. The stickiness factor where a concept is memorable. Finally, the power of context, we act a certain way in certain situations. For example, why do college students burn couches after a sporting victory? Couches, bonfires, and their combination in an intersection has nothing to do with the game itself, but this has become a thing. Prior to September 2008, there wasn’t a single news headline about it. It fits Gladwells recipe. The few that are wild and crazy enough to do it. The stickiness factor, kids have seen it done before, if only on TV. The context, we’re in college and our team won! Woo Woo! Diamandis (I’m guessing here) defines a tipping point where people finally notice something that’s been happening at the same rate. If your salary increases 5% a year, that won’t seem like a major change until you buy a Lexus. 3. Dematerialization. The things we physically once had are now apps. In the book Diamandis and Kotler sum up that the apps on your phone, as actual devices in 1982 would cost $900K. That’s incredible. Not only has technology made something like this podcast available, but made it relatively cheap. 4. Demonetization. Coupled with #3, money will follow industries and when the industry moves online, the money will follow it. Kotler gives the examples of Kodak and Craigslist in the interview as a failure and success dichotomy. It’s interesting to note that Kodak created the first digital camera, and yet were bankrupted in-part, because of it. A similar story is told about HP in the Steve Jobs biography. Walter Isaacson writes that Jobs went to HP headquarters to look at licensing one feature, but found another he wanted. This added item was equally if not more enticing. He ended up with both. Things like Apple running over HP isn’t odd, it actually should be expected. Diamandis tells James that there’s a good reason big companies fall to small ones, “The day before something’s a breakthrough it’s a crazy idea.” he says. Kodak couldn’t experiment on something that might save Kodak because they were Kodak. Most of you will fail, disrespected, impoverished, but we are grateful for the risks you are taking and the sacrifices you are making for the sake of economic growth of the planet and pulling others out of poverty. You are the source of our antifragility. Our nation thanks you. This is the antifragility of systems, which depends on the fragility of others. Let me take one more moment to explain this because it took me so long to understand it myself. Systems are better when they are antifragile (get stronger/better/improved by chaos/destruction/pain) My daughter was reading a science book to me and it said that honey bees die after stinging something. This is the antifragility of the system (hive of bees) at the expense of the fragility of the individual (the bee which drives away the threat). The same goes for companies. Our success in making a hyperloop will also be in part due to the companies that failed. Okay, enough Taleb (for the moment). Diamandis says that were are now 3-D printing cars and apartment buildings. In the interview this didn’t strike me, but after watching this short video <1min, it’s pretty cool. One part of this better future is that it will require constant surveillance for optimal data input. Diamandis says that the hullabaloo about privacy isn’t that big of a deal, especially because we’ve already started changing in response to it and we will continue to do so. Don’t get all nostalgic about this though. We tend to look to the past with rose-colored lenses and remember only the good things. Past guest Jack Canfield (episode #90) might say the past was what it was. Taleb, you knew we would come back to him, writes that this is a form of barbell thinking and it too is antifragile. This is the boiled-down version of the investment conclusions that Tony Robbins (episode #62) also comes to. Have some money that is almost entirely secure, annuities or treasuries. Have other assets that can ride the wave up with very little drag: index funds. Skip everything in the middle. … view knowledge as sort of a semantic tree — make sure you understand the fundamental principles, ie the trunk and big branches, before you get into the leaves/details or there is nothing for them to hang on to. Gary Vaynerchuk (episode #2) talked to James about this, and writes about it in his books, that you should be passionate about the thing you want to pursue but don’t stop there. Remember that passion is the fuel that has to go into an engine and a person with passion but no hustle is the same as car with no engine. There’s also a big at the end about how great virtual reality will be. If this idea appeals to you, you must go read Jane McGonigal’s Reality is Broken. There she writes about how games (virtual and real) do a much better job of guiding us to act in a way we want. If you are interested in joining the Antifragile Book Club I’m starting, please get in touch. We’ll read a chapter or two a week and I’ll offer additional material to supplement the book. This is for anyone who hasn’t yet, but wants to read it. If you want to chime in as a moderator/instructor please let me know. I’ve not read Bold, but the interview between James, Steven, and Peter focused heavily on rockstars. Jobs, Bezos, Musk, Uber, etc. and we should remember the survivorship bias. Under this heuristic we should ask, #1 what did these rockstars avoid doing and #2, the people who started in similar positions and failed, what did they do? Does Bezos avoid checking his email, does Musk choose to walk to work rather than spend time at the gym? What about the grocery delivery website CEO that started the same time as Amazon, what did he do? This is not saying the conclusions are wrong, just incomplete from the interview. Of course the 3-D printing of a building happened in China. It’ll make this a lot easier now. Andy Weir joined James Altucher to talk about what it was like to write The Martian, his journey to get there, and how you figure out how to grow potatoes on Mars. Weir’s book is coming out as a movie in November, “thankfully a few weeks” before Star Wars he tells James. Weir’s journey to best-selling author was a long one, and nothing along the way indicated it. He tells James that he always enjoyed writing but not until a full year after Random House purchased the book rights did he quit his job. His conversation with James begins when Weir had to drop out of college because he didn’t have enough money to pay for the living expenses associated with school. “I can either scrape up enough money to continue paying to work all day, or I can work all day and get paid.” he tells James. Choosing that latter over the former, he went to work. This attitude of financial responsibility was “drilled into me” Weir says – and it might be a good thing. He says that many of his friends had parents that paid for everything and didn’t learn financial responsibility until they were on their own. Not so for Weir, and not so for many financially successful people. Fellow father Feiler (Bruce) wondered the same thing, what do the financially most successful teach their children about financial success. Feiler interviewed financial advisor Byron Trott who told him, “One of the biggest problems I see in families, is a reluctance to let your kids make decisions for themselves.” Trott goes on to say that making small mistakes now might prevent big mistakes later. So, Weir went to work but even then his finances weren’t fluid. He had to take gap loans from his father to cover times when money was tight. James asks if not paying his dad back ever occurred to him – never Weir said. Altucher asked Maria Popova (episode #89) a similar question about dropping out and she told him the same thing – never. I wonder how absolutes clarify what we focus on. For Weir there was no question about paying his dad back. Popova had to finish school. Even later in the interview when Weir tells James how he works there are absolutes; no TV, no random internetting. (Redditt, we’re looking in your direction). Weir got a job with Blizzard Entertainment working on Warcraft II. It wasn’t uncommon in the mid 90’s to work 80-100 hours a week to finish a major coding project he tells James. His work at Blizzard led to a job with AOL until he was laid off, but with a decent severance package. There’s no comment in the interview if his salary went to creating more AOL connection cds. Ted Leonsis tells James in a previous episode how they came up with that idea in the first place. With his severance package and an idea for a book, Weir spent the next three years writing and trying to get published. Almost immediately a wise sage scrolled through his manuscript and found the hidden gem that is Andy Weir. Wait. Tha’ts not what happened. Do you know what happened? Nothing. Three years for nothing. Even David Levien (episode #85), who had Hollywood and entertainment connections, only landed the Rounders script because of a bit of luck. Instead, Weir went back to work as an engineer and slowly the internet became more popular. He figured he could just write online. The Martian began as a serialized story for his online community. This web version led to an ebook which led to a Kindle book, but not at his direction. Weir said that he “self-published and figured I was done and that was it.” The only reason he put it out as a Kindle copy anyway was because people didn’t know how to download the free ebook version available on his website. This must be when the treasure chest of writing fame opened. Nope, just a bit longer yet. That September saw 20 copies sold. October about 100. 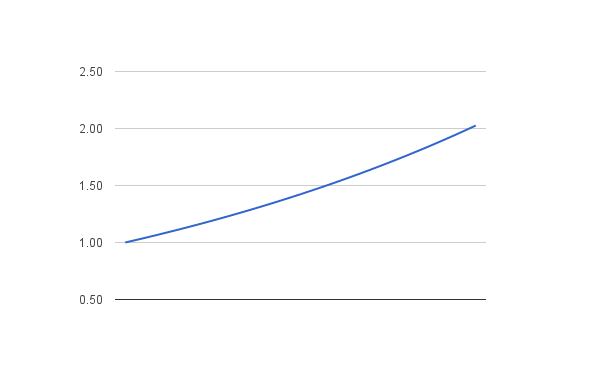 By March the following year sales were up to 35,000. Weir said that part of the success was the social proof and suggestion that Amazon offered. There were a lot of reviews, James says 6,000 at the start of the interview, but it was also in that “People like you bought” suggestion area of Amazon. I had always thought this was an algorithm, but not entirely. In fact, the NPR Planet Money team interviewed people who do this, the Mechanical Turks. Amazon pays people to go through the suggested items to make sure the pairings make sense. The Martian was gaining steam. Being at the top of the list for number of reviews also helped with what Malcolm Gladwell introduced as the “Matthews Effect.” Named after the biblical verse, Mathews 25:29, it’s the clever sociological phenomenon that the rich get richer and the poor poorer. Gladwell explained it in terms of Canadian youth hockey, where so many kids on the elite teams had birthdays early in the year; January through March. What does your month of birth have to do with your hockey skills? The theory goes that because the cut-off date was January 1st, the kids born earlier in the year were bigger than their peers born at the end. Bigger meant being a bit more coordinated and a bit better at hockey. If you were a bit better then you got a bit of extra attention from the coaches and got a bit better at hockey. Bit by bit and on it went. Seth Godin (episode #86) also tells James that the cultural and geographic boundaries are gone. The only thing that can hold you back is the “cultural pollution” in your life. Gary Vaynerchuk (episode #2) told James much the same thing, that the gatekeepers are gone, but they are gone for all of us. There’s a Randy Weir out there who’s book didn’t hit, who’s book isn’t going to be a movie, who’s going to be paying money to read a best seller rather than making money for writing it. Another piece of King’s advice that Weir has seemingly followed is to read and read a lot if you want to be a writer. Weir says that Asimov, Heinlein, and Clarke were some of his favorites. Plus he had to do a lot of research about space to write about space. Weir tells James he was always interested in astrophysics, but to get the science right he had to dive deeper into fields like botany. Luckily his serial form lent itself to getting that stuff right. He essentially had crowd-sourced fact checking. Jimmy Wales (episode #54) would be proud. Whales told James that he hoped a crowd funded movie would be made someday and fact checking about growing potatoes on Mars for a book that becomes a movie seems like it might be a good first step. Another perk of writing in the serialized form was that it let Weir learn as he went, and in a way the form followed function. This constraint was also helpful to David Levien (episode #54) who wrote his most recent series of books on the train during his commute. Levien had to write quickly, with not a lot of time and that’s about perfect for the style of novel he was working on. Not until Weir was mailing a contract back to Random House, on Broadway St., NYC – did he feel like things were real. He signed with Random House in March of 2013 but the book didn’t come out until February 2014 and not until April of that year did Weir leave his job. “Everybody at the company was rooting for me” he told James. Scott Adams says something similar, where he kept working even after Dilbert became popular, in-part, so visitors to the office could see the engineer in his natural environment. Near the end of the interview is a nice and nuanced explanation of how movie rights work. Simon Rich had hinted at this in a previous interview and it was nice to hear it explained in full. The way it works according to Weir is this: a studio gives you a contract and a “small pile of money” for the exclusive option to buy the movie rights. If they exercise their option, they give you the big pile of money too, but sometimes these rights elapse and another studio can buy them. Weir says that for every movie made 100 options may have been drafted. For The Martian it wasn’t until the day before they began filming that the studio exercised the rights. This explains why when James asks, did you pop a champagne cork, Weir tells him, “it just becomes more and more likely slowly over time.” There was no single moment. James also asks if Weir is going to get a big back-end payout but Weir is skeptical. Movies never break-even thanks to tricky Hollywood accounting he says. Maybe not now, but they once did. Arnold Schwarzenegger told Tim Ferriss that his biggest payout was from a movie you might not expect. Their entire interview is great but this movie part came together like this. Arnold had some success in the action genre but felt he could nail another type of movie too. He teamed up with two other talents (giving names would give it away) and the trio went to the studio saying they could make this movie pretty cheap, but they wanted a certain percentage of the back-end. The studio agreed. That movie was made for $15M but went on to gross $110M. The interview ends with James asking about advice for writers. Weir says he gets this a lot and has three suggestions. 1. Write. “It’s easy to daydream and fantasize about what your story is going to be and how awesome it’s going to be. It’s hard to actually write it.” Summon up motivation and do it. Write. Don’t imagine. Write. Write. Write. 3. This is the best time to be an aspiring writer. The internet and self-publishing lets you put something out there to see if people like it. There is nobody between you and the readers. Take a moment to appreciate that. This is one of the best-selling authors of the last few years and he spent three years not that long ago, coming up empty handed in getting someone to read his work. My own process for writing these post is a mix of the two. When I walk our dog and when I make breakfast, my headphones are in and I listen to the James Altucher (and other) podcasts. Most mornings I get up between 5-6AM to draft these (and other) posts. That said, my wife has a good job that lets me do this. For more Weir, and a snapshot about what things looked like a year ago, check out his AMA. His talk at Google was also around the same time. Thanks for reading. Part of my creation process for these posts is to write an idea list. Every. Single. Day. If you want help creating that habit too, I made something that might help. If I had a typo or interpretation error please let me know, @mikedariano. That Arnold movie was Twins and co-starred Danny Devito and was directed by Ivan Reitman. Those movies brought Shadyac a lot of money and it wasn’t necessarily the sums of money that brought discomfort into the way he viewed life, but the disparity between people on the set. He tells James that it seemed ridiculous that some people making the movie couldn’t feed their family while others were making millions of dollars. He resolved to make changes. He began selling things. Gone was the huge house, cars, and other things that piled up. In was the smaller house and things he only needed, as he shows Oprah. He mentions to James in the interview that it’s more modest but still nice but it’s certainly not the “trailer” that James suggests. Shadyac continued on his own journey, having paired down materially he also began to weave in good acts. He’s been teaching, volunteering, and trying to make the world a better place. At no point in the interview does he pitch this lifestyle to James. Rather, he says that he “respects the path of others.” He had to make the billion dollar movies and life the million dollar lifestyle for things to begin making real sense to him. He tells James that in his experiences and research, that happiness follows our pursuit of the “true, good, and right.” He believes this because it never came with the money. When he made $30M for making a movie, he wasn’t happier than he is now. Being motivated by money is a false fuel that other guests have pointed out too. Marcus Lemonis told James that money is the wrong thing to chase. Rather, chase things that bring value and the money will be a by product of that. Sam Shank (#78) said that he wouldn’t sell his company for $400M because he’d just want to be back where he is now. Shadyac also echoes what Dan Ariely (#65)suggests about happiness. Happiness isn’t something you can pursue. It’s not like a figure in your bank account that you can choose to make deposits in or a mana bar in a video game. For Ariely it was the pursuit of meaningful things. For Shadyac it’s contentment in many domains of life; health, work, mental and spiritual balance. If you have those basic things satisfied, then you’ll be happy. A lot of research has gone into Shadyac’s research and throughout the interview his etymology is sharp. He tells James that in his examination of psychology there are two major factors that content people have, positive relationships and service of a cause greater than themselves. Good people in your life has been a common theme with other guests. Lewis Howes (#88) suggested having coaches and mentors. Jack Canfield (#90) said he’s always been part of a mastermind group. Tim Ferriss (another guest) had Canfield as one of his mentors. James often says you’re the average of the five people you surround yourself with- and his interviewees testify to that. One problem that Shadyac sees in the world is “mineness.” He makes the argument to James that a transition to domesticity and the ability to store and amass led to this. Ditto for education where he says that the attitude of to the winner, go the spoils is all wrong. We’re one big family and the future he says is one where “we’ll literally share like a family would.” His evidence is that we used to be on big tribe, sharing with each other, and not permitting our “brothers and sisters” to be anything less than their best selves. The internet he thinks, will help us get back to that point and healthy competition will be that where we bring out the best in others. Wait, this isn’t an editing error, there was no great video to explain it. There were a lot of clever ones, short ones, long ones, TED Talks, and more but no single perfect source. Shadyac’s transformation also revolved around the state of the celebrity industry. He tells James that there is a “whirlwind that happens around movies that’s almost like an illness.” He sees this hero worship going on, where people are dying to get their picture taken with/existence acknowledge by so-and-so. Instead he suggests that we direct our efforts to solve a problem like world hunger or food scarcity, which we can do right now. The self-storage industry is large enough to end world hunger Shadyac says. According to the SSA fact sheet, a trade group, the self-storage industry had revenue of $24B in 2013. UN estimates about ending world hunger bring the bill to about $30B so it’s certainly in the ballpark. But here’s the twist, and Shadyac admits this, solving difficult problems is difficult. Stephen Dubner (#20) did an episode on his podcast about the cost-benefit analysis of solving problems and things get really tricky. A more broad, economic angle, is that ending world hunger is like aiming at a moving target. Shadyac knows this and has a good answer for it, telling James that “it starts here, by changing yourself.” It returns to his idea earlier in the interview, that if you want to change something follow your path and concern yourself most with yourself. James asks for specifics, about how someone can start doing this. “If it’s not a win-win for everyone then stop doing it.” Shadyac says. For more, here’s also Shadyac’s talk at Google. If I missed something, do let me know in the comments or on Twitter, @MikeDariano. Also, if you want to build your idea muscle, I’ve made something that might help. Dan Ariely (@danariely) joined James Altucher to talk about our irrationality, why it might not be a bad thing, and his origin story. The interview begins when James says that “I’m an expert, having been irrational and dishonest most of my life.” His story notwithstanding, he asks Ariely in what ways do we think irrationally? Ariely begins by saying that our emotions are largely irrational, though not without cause for being so. When you lived in the jungle, heard a rustling in the bushes, and took off because there might be a tiger – that was all rational thinking. Our evolution built in asymmetrical thinking, before someone like Nassim Taleb coined that – or any other words. If this doesn’t make sense, Ariely explains: “The cost of running when there is no tiger is the cost of running. The cost of staying when there is a tiger is a very high cost.” If this resonates with you, then your next book should be Antifragile because this is the essence of Taleb’s argument. Probabilities don’t matter as much as intensities matter. Taleb gives the example of security checks before you get on an airplane. The odds of a terrorist being on that plane and successful crashing it is miniscule. But we still check people because if a terrorist takes over and crashes a plane there is a huge cost. Ariely explains to James that we act emotionally because there was a time when it helped. Another area Ariely says we don’t understand well is opportunity cost. When he surveyed people at a car dealership, and asked them what they would not be able to buy, if they bought this car, very few understood the nature of the question. Their responses were, that if they bought a Toyota, they wouldn’t be able to buy a Honda. Lulz. If we were more rational, we would list the things we couldn’t do. If you buy a $40,000 car you are trading away the chance to go on eight Disney cruises with your family of four. That’s the thinking that Ariely was searching for. Luckily for us, there’s a group of people who have found this idea and created an action plan for how we can think about things this way. They call themselves minimalists. Minimalism is about intentionality. It is marked by clarity, purpose, and thoughtfulness . At its core, minimalism is the intentional promotion of the things we most value and the removal of everything that distracts us from it. The minimalist sees that the garage full of stuff (plus the time it took to work to buy it plus the tie to maintain it plus the time to manage it) isn’t a great bargain at all. Returning to the interview, Ariely explains that another way we are irrational is that we value things in different ways. His analogy is that if you needed a quarter for parking and I offered to trade you a dollar in quarters for a five dollar bill you’d feel cheated. If, however, I offered to run to the bank and get quarters you would feel less cheated because you also paid for my effort. Your monetary outcome is the same – $1 in quarters for a $5 bill – but there’s something different about the idea. James brings up the story about a guy who bought stuff online and sold it after creating a story. Ah, Ariely says, you’re talking about Rob Walker. A talented, creative writer invents a story about an object. Invested with new significance by this fiction, the object should — according to our hypothesis — acquire not merely subjective but objective value. How to test our theory? Via eBay! One man’s trash is another mans treasure and when you mix in a story things really change. 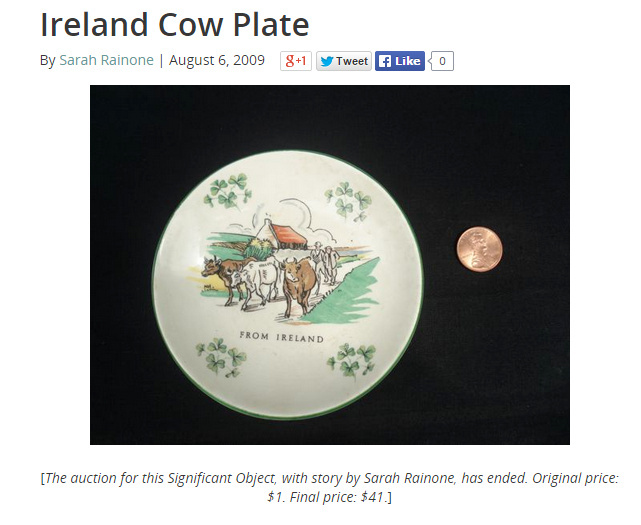 Walker writes, “We sold $128.74 worth of thrift-store junk for $3,612.51.” For example, this cow plate. As my husband and I were driving back to New York after my mother’s funeral, I spotted a general store on the Rhode Island-Connecticut border, the kind that exist solely for those who forgot to bring something back from Newport or Block Island or Martha’s Vineyard or wherever. Judging from the weathered sign and the rusting trinkets out front, it seemed decades old, and yet I swear I had never seen it in all my travels along this stretch of I-95. Strange. Ariely says this means that “the consumption equation is very complex.” Think again about the Disney cruise you’re missing because of the new minivan in your driveway. That Disney cruise is a big boat floating around the Caribbean for seven nights and docking at various tropical ports. Royal Caribbean also has a big boat that floats around for seven days and stops at the same beautiful places. Each cruise is the same in almost every way, except price. Some people choose to pay more because they want a better story, a Disney story. Okay, James says. We know that we are irrational in many areas like emotions, money, and our reliance on stories. How do we become more rational. “There’s no single answer.” Ariely tells James. Rational thinking requires focused, deep thinking and it’s impossible for us to operate in that mindset throughout the day. Instead, his suggestion is to manipulate things like our environment. For example, “when it comes to temptation…reduce the prevalence of temptation in our lives” Ariely says. I’m a living example of one of his interview examples, cookies. I always tell people that I’m on a one-hour diet a week. If I can not buy cookies at the grocery store during a weekly one-hour trip, I won’t eat the cookies. If those cookies enter our house though, problems ensue. In their book Switch, Chip and Dan Heath write that we can “shape the path” of our actions and create an easier route to our destination. One of those tweaks is choosing action triggers of when, where, and how we’ll do something. They include this story from the book. Peter Gollwitzer, a psychologist at New York University, is the pioneer of work in this area. He and colleague Veronika Brand-statter found that action triggers are quite effective in motivating action. In one study, they tracked college students who had the option to earn extra credit in a class by writing a paper about how they spent Christmas Eve. But there was a catch: To earn the credit, they had to submit the paper by December 26. Most students had good intentions of writing the paper, but only 33 percent of them got around to writing and submitting it. Other students in the study were required to set action triggers—to note, in advance, exactly when and where they intended to write the report (for example, “I’ll write this report in my dad’s office on Christmas morning before everyone gets up”). A whopping 75 percent of those students wrote the report. Knowing when, where, and why you’re going to do something is a good way to shape the path. Another way to guide our behavior is to hop on the bandwagon that’s full of other people and going where we want to go. Ariel says that “what everybody else is doing is incredibly important.” Famed violinist Joshua Bell participated in this social experiment with the Washington Post where he played for 45 minutes and only a handful of people stopped to listen to the music. One factor wasn’t the business of our lives but that who stops to listen to train station performers. People at a train station have something else to do, to be. Contrast this with Disney (what’s with all the Disney examples in this post?) where every “street performer” draws crowds of hundreds. Even though the performers at Disney are doing something much less rare than Bell, they draw people in. Remember, Ariely noted that our environment matters too. If you are in a place that facilitates and encourages enjoying entertainment and one where people are showing you what to do, the path toward a certain type of action is quite easy. At the halfway mark of the interview Ariely starts to tell his origin story. He was severely burned at 18 and while in the hospital he learned that conventional thinking was sometimes wrong. The nurses thought that ripping the bandages off quickly was better for the patient, but from Ariely’s side of the bed it wasn’t. What Ariely first glimpsed in the hospital and then studied and articulated later on, is that we don’t generally remember our overall experiences. When you go to Disney it’s the special moments you remember and tell your friends back home about those. We remember is the most intense point (high or low) and the ending. About Happiness: “It’s about a sense of meaning.” Ariely says. There’s no formula for happiness other than finding something you enjoy doing in life. He gives the example of mountain climbing. The actual mountain climbing part probably isn’t all that enjoyable but those people love having climbed. Ten Leonsis (episode #53) told James much the same thing. 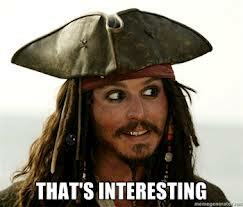 About Placebos: Ariel says that placebos are very interesting. When people pay more for a placebo they think it will be more effective. An interesting study from his book is this. He and some colleagues set up a coffee stand outside at a university. They began handing out free coffee to the students and offered an accoutrement of additives; cream, sugar, orange peel, clove, etc. The secret at hand was that sometimes, the accoutrements were in fancy containers, other times they were in styrofoam ones. What were the results? No, the fancy containers didn’t persuade any of the coffee drinkers to add the odd condiments (I guess we won’t be seeing sweet paprika in coffee anytime soon). But the interesting thing was that when the odd condiments were offered in the fancy containers, the coffee drinkers were much more likely to tell us that they liked the coffee a lot, that they would be willing to pay well for it, and that they would recommend that we should start serving this new blend in the cafeteria. When the coffee ambience looked upscale, in other words, the coffee tasted upscale as well. About Honesty: Ariely tells james that we have a tendency to lie and those lies aren’t as white as we think. Most lies are more like grey lies, Ariely suggests, because we get to avoid some discomfort. “Yeah, I don’t see a probably opening a pizza shop that doubles as a barber shop” you’d tell your friend rather than lose some social karma if you tell them how terrible it is. If you liked the interview with Dan Ariely, you’ll probably like his books as well. You’ll also like Stephen Dubner’s interview (episode #20).